I unveil to u, ladies and gentlemen, the mansion to house those with a wealth of disposible income. 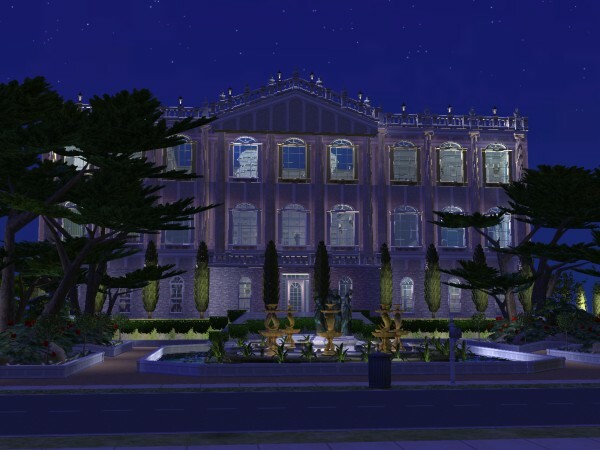 The Millionaire Mansion was built in c.1756 during the english enlightenment and has ever since been the most sort after property throughout the sim world. At the rounded sum of $1,000,000 it is well inline with political, celebrity and bagman coffers, not to mention cheaters with excited fingers!! 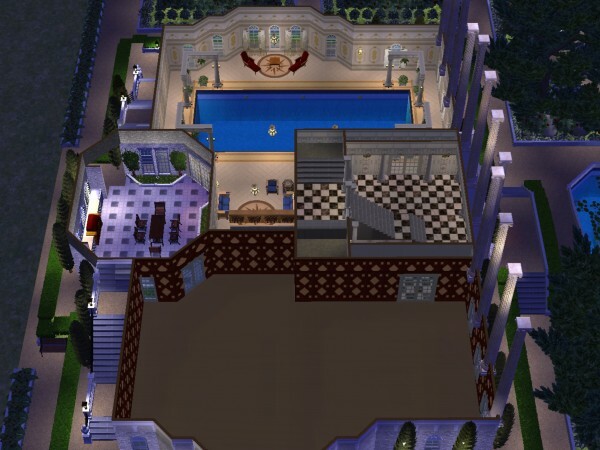 poolside bar (indoors), large pool, outdoor entertaining patio and shop space for the exclusive clientelle! 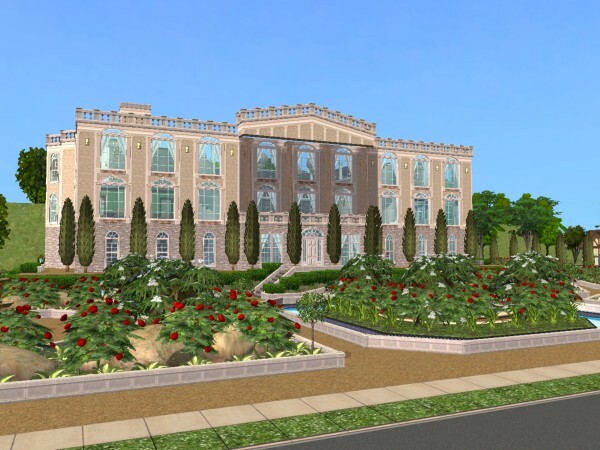 The 5x6 lot estate is expertly landscaped conforming to the traditional rules of formal horticulture, with room to add a more personal touch. In addition the house comes with select wallpapers, flooring and furniture to maintain exclusitivity. The extroadinary propagating of yuccas, hostas and Hydrangeas done by the creaters at www.4eversimfantasy.eu.tf, thank you. The equal stars of the landscaping project are the creators at www.aussietopenders-sims2.com their pots of giant oleanders and literal roses are something else. 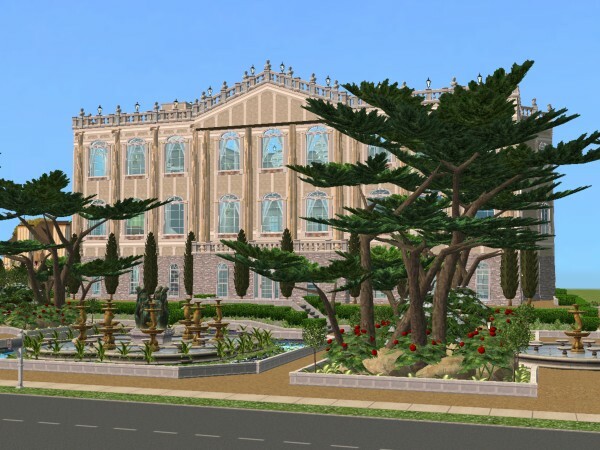 Not to mention the grand cypressus planted by franky from http://www.modthesims2.com/showthread.php?t=123016, amazing creativity dont you think? Also rotadendrons by Madam Mickyss at http://www.modthesims2.com/member.php?u=94426, they are my favorite plant you know! 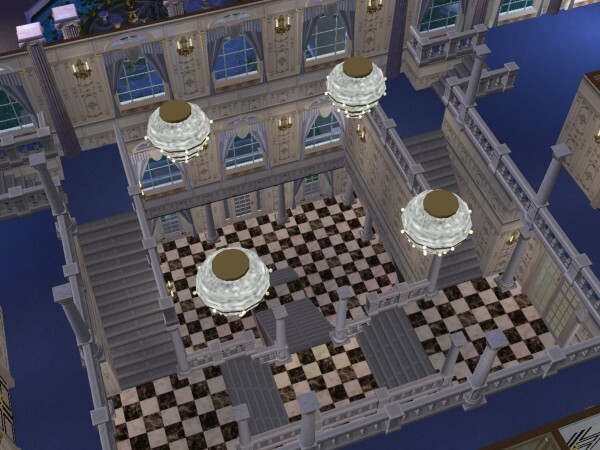 Lastly to the lighting specialists, loverat at http://www.modthesims2.com/member.php?u=99, those at http://www.meshkiste.de/ and BiestHB athttp://www.modthesims2.com/member.php?u=167323 whose chandelier creations are quite out of this workld thank you. With all but a sincere farewell and happy simming this is all from me, Lord losonogo, and remember a thank you (on the left hand side) wouldn't go astray!! update: i have made a version which plays better in the game and is alot cheaper and also not as much cc. I will upload it if i get enough demand for it. 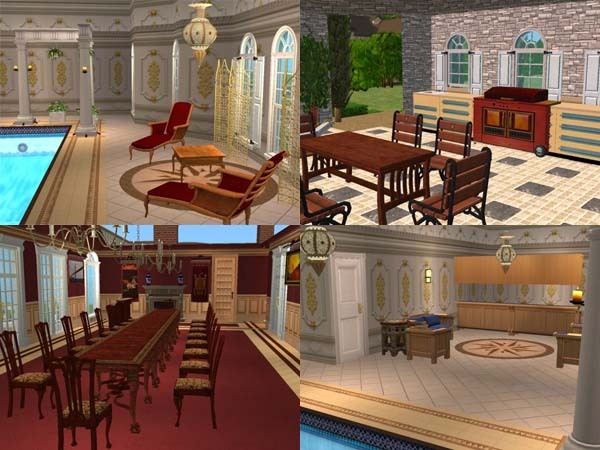 Update 29 Aug 2006: if u havent gathered by now im not the most organised person on earth and have abandoned my simming commitments badly! Due to the busy and messy nature of my student life right now, it looks like i wont get around to building until a whole 5 weeks time, in my college break. 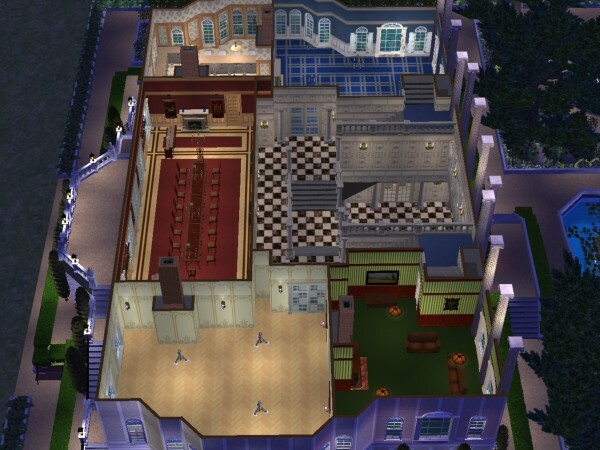 That means the millionares mansion version 2.0 wont be done until then. I know i said i would do it ages ago but work comes before games, sorry. I will try and create a clean version and less complicated so its more playable. If u have content u wish for me to include because it will look better, post a comment and I will consider it along with a link. The new version is done and have uploaded it, i hope it works better than the last, there was less game lag with this version. 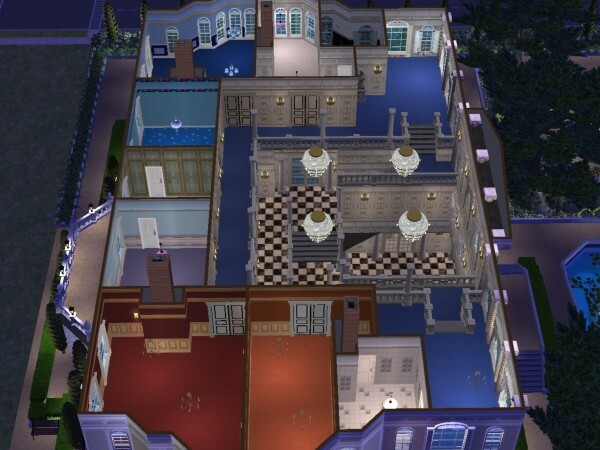 The differences between the homes are three levels have been removed thus small stair cases have been removed also, a driveway is now included and the main door is a vast improvement.... oh and also fountains have been reduced as it slows the game down to much. The price is also reduced to around $400,000 ...hey u still gotta be rich to live in this house!! If you want to make this house work faster and cost less, its advisable to rid of some the plants!! The Graveyard from "The Phantom of the Opera"